Calcium is essential for healthy bones and teeth. 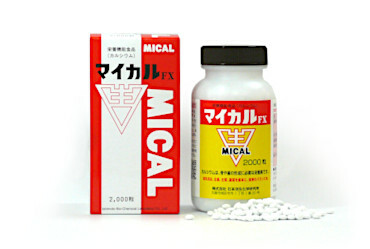 Recommended usage Take 10 tablets per day with a glass of cold or lukewarm water. Do not chew tablets. Storage Close lid tightly and prevent exposure to direct sunlight, heat and moisture. Seller Ishimoto Bio-Chemical Laboratory Co., Ltd. Inc.
・Check the ingredients and do not use this product if you have allergies to any of the contents. ・Do not give to infants and children. ・Keep out of reach of infants. ・After opening, please follow instructions for daily use and consume before the expiration date. ・This product may be unsuitable for some physical constitutions or conditions. Discontinue use if you experience adverse effects. ・Individuals who are pregnant, breast feeding, taking medication or undergoing medical treatment should consult their physician or pharmacist before use. ・Due to the characteristics of ingredients, color may vary. This does not affect product quality in any way whatsoever. ・Taking more than the recommended amount does not increase benefit. For best results, please follow the directions for the recommended daily intake.